Bogdan Voicu, Claudiu D. Tufiș. 2015. Last week, the European Political Science Review made available online a paper written by Bogdan Voicu and Claudiu Tufiș, members of our group. 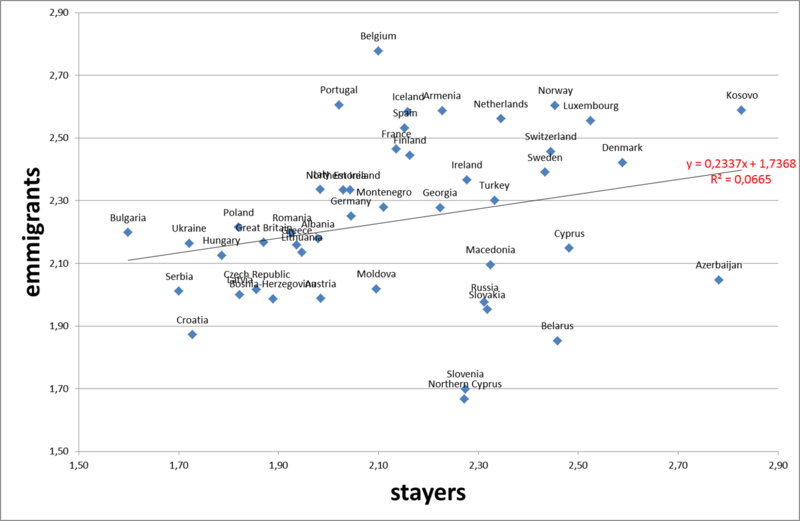 The paper discusses political trust, understood as confidence in political institutions (parties, government, parliament). It claims that cultures of political trust are fluid by nature, they influence those expose to their influences, and produce pervasive effects to be reflected if one moves to another context of political trust. The authors employ EVS 2008 data and make use of the case of immigrants to illustrate their point. They also show that there is little if any effect of the time spent at destination and of the age when migrating. This makes social learning quite fast. You may find more in the paper. 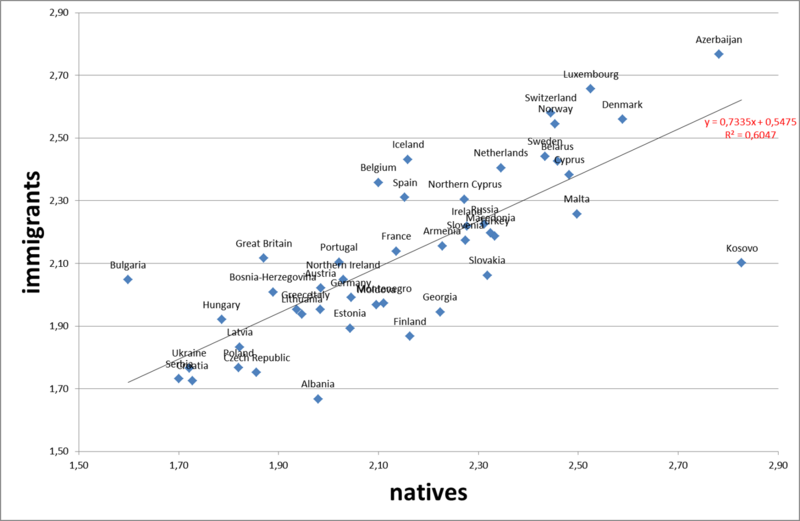 (2) the relationship between the average levels of political trust of those residing in a certain country and immigrants of same origin.